Located close to the tourist attractions, Fairfield by Marriott Sriperumbudur is an ideal option for the leisure travelers. Conveniently located at a close proximity from Nagamata Temple, Fairfield by Marriott Sriperumbudur is a budget property in Sriperumbudur offering complimentary internet access to its guests. The hotel has 153 well-appointed rooms, spread across 3 floors. Some of the amenities offered within the room include television, tea/coffee maker, intercom, mini-bar, temperature controller, wardrobe and bathroom with hot/cold running water facility. 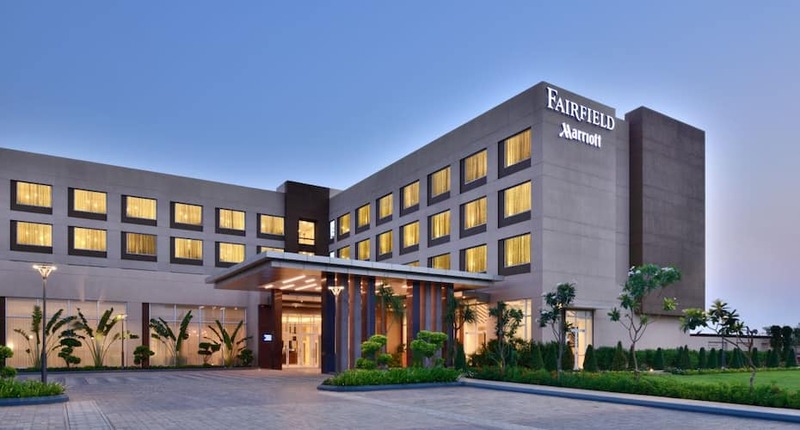 Fairfield by Marriott Sriperumbudur offers services like 24-hour room service, airport transfers (surcharge), currency exchange, concierge, express check-in/check-out and laundry. 24-hour front desk, business center, indoor games, banquet facilities, health club, 24-hour power backup, swimming pool, travel counter and parking area are few of the facilities available within the premises. Places of interest and travel hubs in Sriperumbudur include Tiruvallur Railway Station (24 km), Chennai International Airport (36 km), Madras Motor Sports Club (18 km) and Angala Parameshwari Temple (31 km). The property also has a restaurant. What people love the most about this property is its great location and classy ambience. Book now and enjoy world class services at Fairfield by Marriott Sriperumbudur.